1).Which of the below category is getting 27% of government petrol pumps allotments? 2).Which two units have stopped their combat mission in Afghanistan recently? 3).Which bank has provided the Indian Markers Economic Indicator? 4).WTO has ruled against ______ which had imposed high duty on imports of certain steel products from India? 5).Who is the new US ambassador to India? 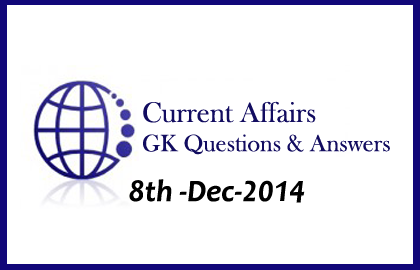 6).Delhi is hosting Annual India-Russia Summit, what is its summit number? 7).Which country has won Blind cricket World Cup 2014? 8).Which bank has launched first home grown economic indicator? 9).Which is the top three dangerous countries in the world, arrange in order? 10).Who is very popularly known as Rajaji?